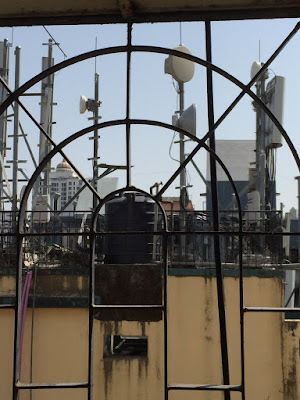 Recently, TRAI (Telecom Regulatory Authority of India) has made it mandatory for telcos to display their QoS (quality of service) performance against the benchmark on their websites. The QoS (quality of service) survey is a quarterly survery conducted by TRAI in all telecom circles across the country. In addition, TRAI also publishes the Performance Indication Report for telecom services (Currently the April 2010 report is up for 2009). You can access the TRAI performance indicator reports here and the QoS reports for individual circles here. And of course, your local newspaper will also report QoS scores for your circle. I believe that it is worthwhile to go through these scores when you are deciding to switch to a new cell service provider, or simply to press for a better service delivery from your existing one. And definitely you must look at this information alongside the tariff plans and schemes, and weight both aspects when you take a decision. This data has helped me to reach a few conclusions about the service offered by my own cell operator, Bharti Airtel, in Mumbai. 1. The downtimes on Airtel are significantly higher than other private operators. I used to think that this was because coverage is weak in my area or because I live in a high-rise but it appears from the TRAI data that the problem is endemic to Airtel. As an Airtel user, I should definitely push for better call quality and coverage. The biggest lesson for me here is that the biggest provider need not necessarily give me the biggest advantage! 2. My parents use BSNL in Pune and I realise why they can never get through to me or I to them! The downtime on BSNL is the highest in the state (13h 27 minutes). But now I also know that the fault is not wholly attributable to the state-owned network and my own Airtel network is also to blame. 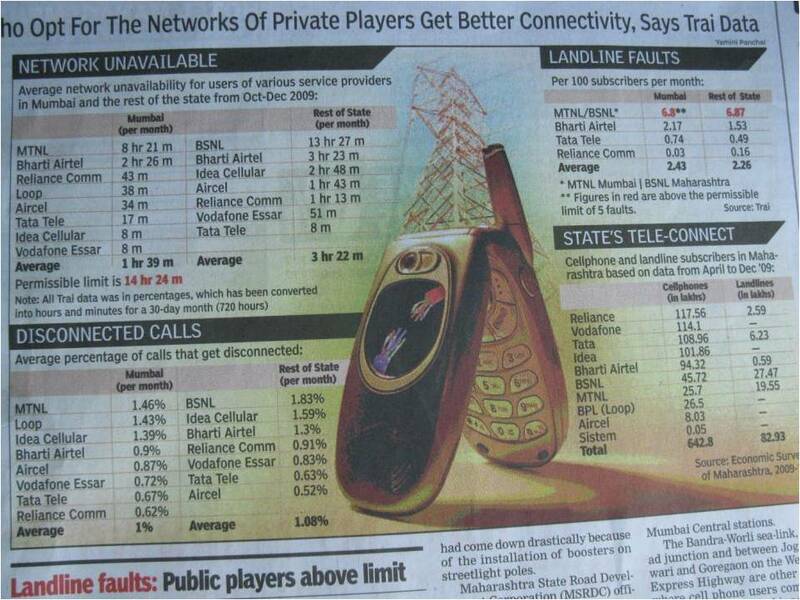 When I looked at pg 67 of this report (Annexure 4.1 : performance on QoS Parameters), I realised that BSNL and Airtel at an overall level have more 'worse affected cells' with more than 3% call drop rates. In other words, at an overall level, their call drop rates do not meet the benchmarks. 3. The claims by some operators of better call quality due to less network congestion do not seem to be merely advertising spiel. The figures for Tata Tele, Idea and Vodafone Essar look pretty impressive in Mumbai. Airtel meets most of the service norms (and I have experienced this as a user). Reliance Communications, Aircel and Idea fall short on time taken to answer customer calls in Mumbai (the benchmark is that 90% of calls or more should be answered within 60 seconds). I think that the TRAI reports are an excellent initiative giving customers the power of objective information in making a choice of cell service operator. Highly recommended to read and evaluate whether you are getting the best service from your operator!